Well we are in the first week of February, the weather here has been better. We didn't get snow last night which is a change for the better. The temperature is about - 7 that's great also. This is my inspiration card for Whimsy this week. ( click here) to check out some great cards and enter yours for a chance to win some great digital images. 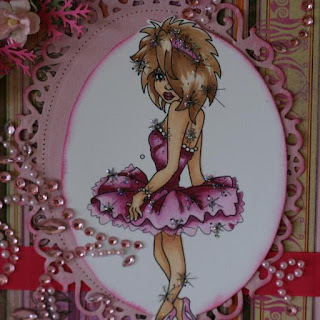 My card is made using a digi stamp from designer Marika Collins called A List Star. 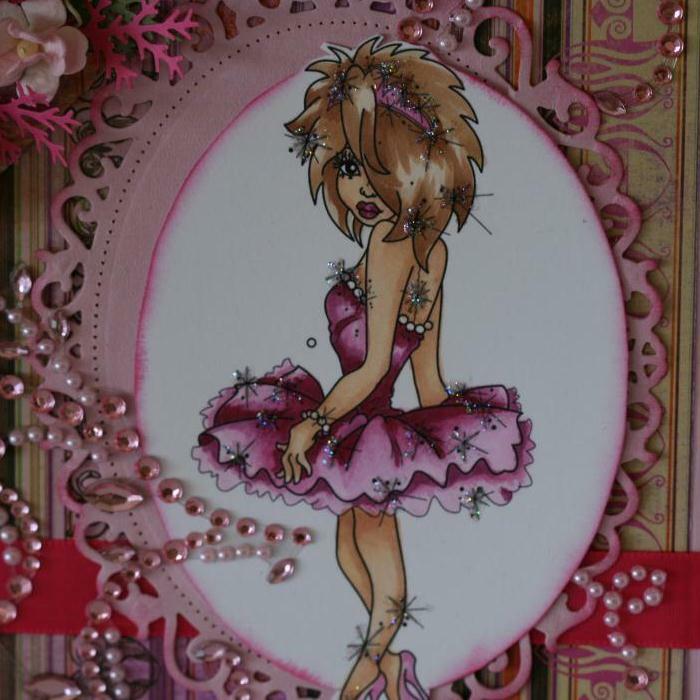 You can find this image and other wonderful images at Whimsy Stamps. Cute, cute image, it was fun to color and add sparkle and bling to it. 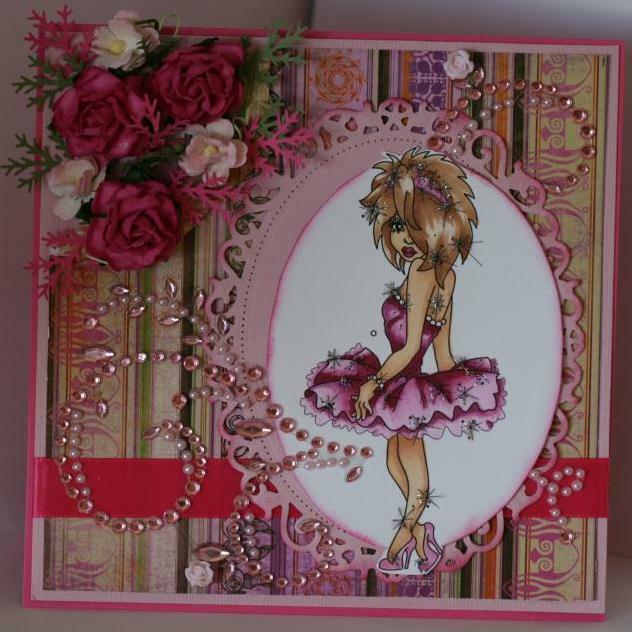 A girly card, with all the pink and gems. I hope that this will inspire you to create or craft with a friend or a child. Remember that it's wonderful to create memories thorough imagination and creativity. Then be able to give a card like this to someone special. Have fun with it, I know I do. A close up of the finished image with some star dust stickles added for some fine sparkle detail. Supplies:Whimsy digital image, Bazzill cardstock, Bo Bunny Patterned paper, Whimsy Stamps & Wild Orchid flowers, Spellbinders - oval & Floral Ovals, Martha Stewart punch, Memento ink for distressing, Ranger Star Dust stickles, Prima Marketing Bling, Offray ribbon. Any comments are read with appreciation. Hot damn friend she is beautiful, great coloring and the colors you chosen are awesome. It has WOW factor right away, and the bling just is such a great touch. The flowers are so awesome...Happy Day!